Those involved in the Porsche community will have surely read something with “Pete Stout” occupying the byline, as Pete’s eminence as a Porsche magazine editor is numbering in the decades now—he was the editor-in-chief at Excellence from 1998 to 2012 before helming PCA’s Panorama between 2012 and 2016—and his latest endeavor, 000 Magazine, offers the sorts of comprehensively detailed and unique stories that will park you comfortably in your favorite chair as the clock hands spin through time well spent indulging in the vast world of Porsche. 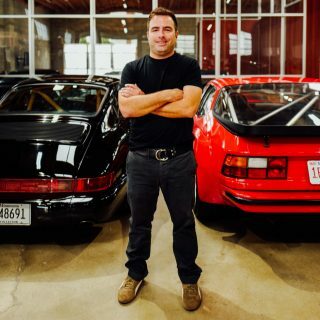 To learn a little bit more about the automotive journalist, editor, and entrepreneur, Bracken Helmes had an extensive conversation with the Porsche enthusiast to discuss the path and thought process that led to the unique and extremely well done magazine. 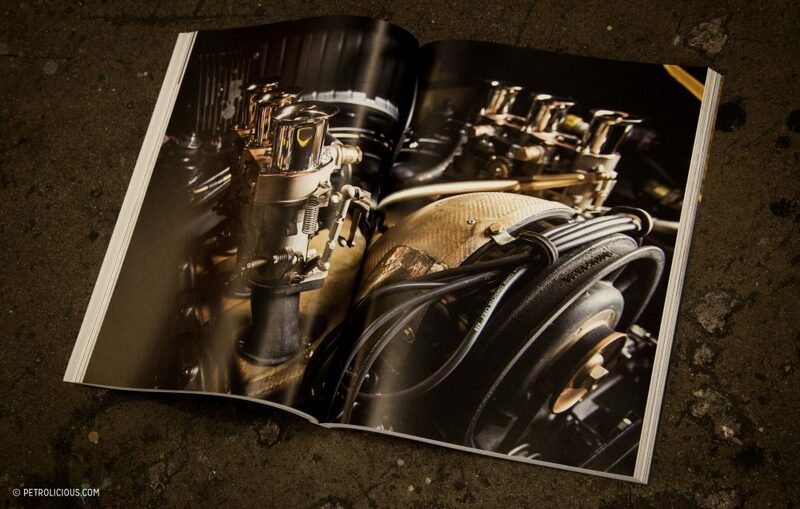 Print is a classic medium that holds a deserved and resolute place in contemporary and coming times, and projects like 000 offer sound proof of the need for an in-depth automotive journalism experience that you can still keep in a library. 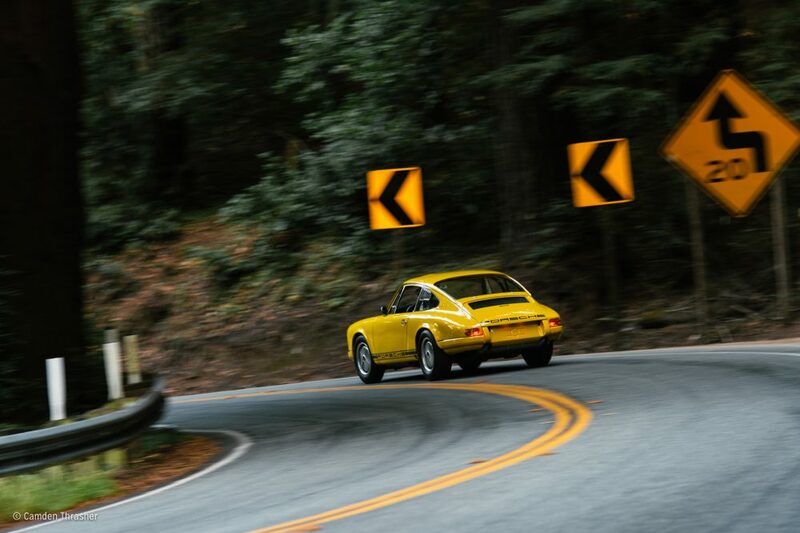 In this interview covering the tectonics of modern media, RUF CTRs, a maligned-then-beloved 914, and why it’s worthwhile to follow what excites you, Pete Stout proves that any great project first requires the gumption to go for it. Bracken Helmes: What attracted you to Porsche initially? 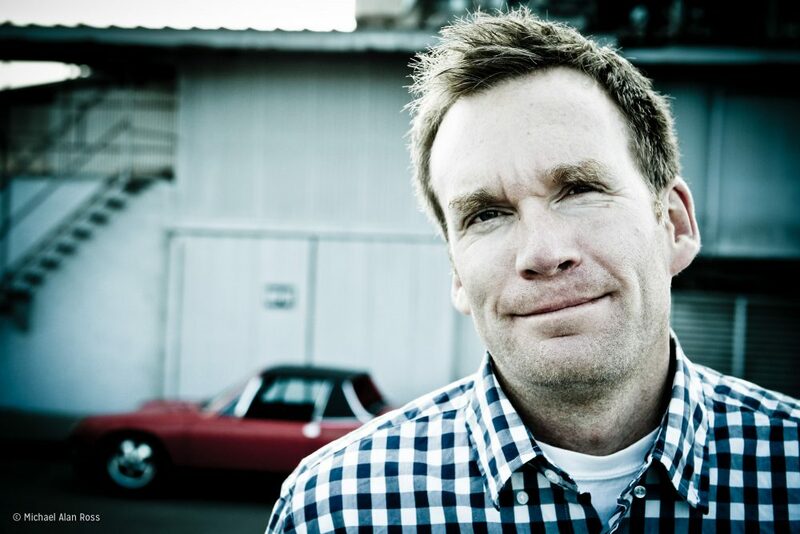 Pete Stout: The first car that made me realize Porsche was special actually wasn’t a Porsche. It was a toy. My childhood best friend and I would play with Hot Wheels every day after school, and he had a silver 930—a Tomy Pocket Car. We shared every car except that one. 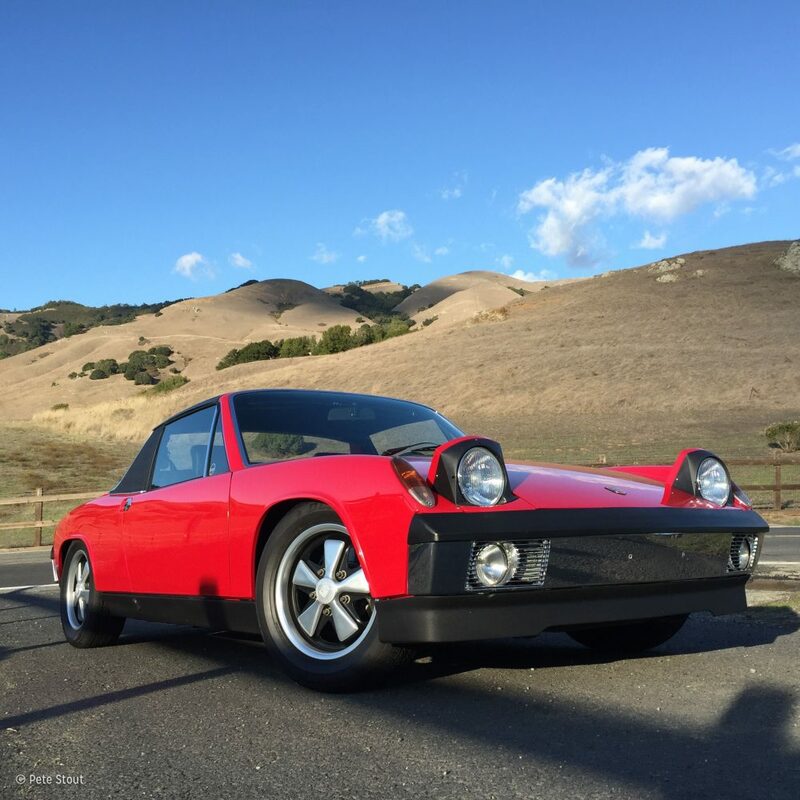 The actual car that brought me into Porsche was my brother’s 914. My family bought it when he was in high school for $3,000. It was pretty faded—it was an honest car with solid bones, but it was tired and it had been driven a lot in its life. 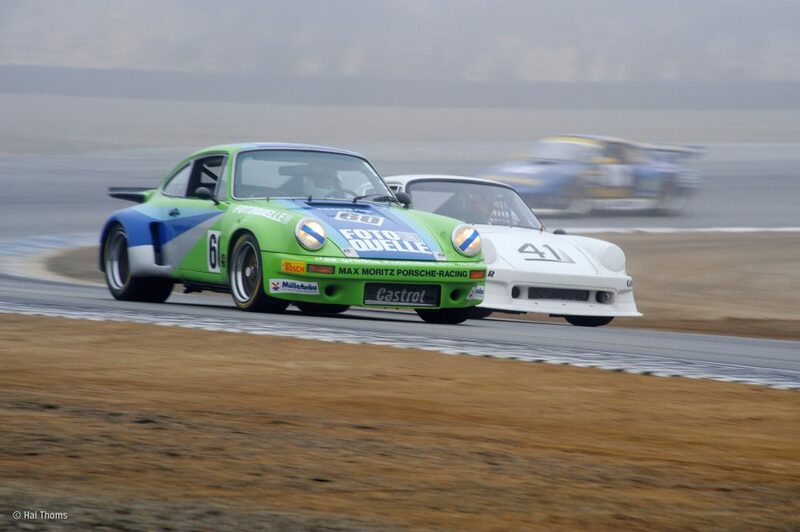 In hindsight, it was a good one, but at the time it just seemed like another used 914. When he left for college, he left it behind and I got stuck with it. I didn’t even want it at the time—I wanted to hot-rod our old Rabbit. I was more interested in GTIs than 914s, but then the Rabbit blew up. I’m now glad that it did, because the 914 taught me what good steering feels like. It taught me what balance is. It taught me about minimalist design, and it taught me about momentum. BH: What do you like about working with Porsche? PS: I got into the work for the cars, but while I enjoy the cars immensely, as time has gone on what fascinates me with this vocation is the type of people these cars draw: the designers, engineers, and creative thinkers. 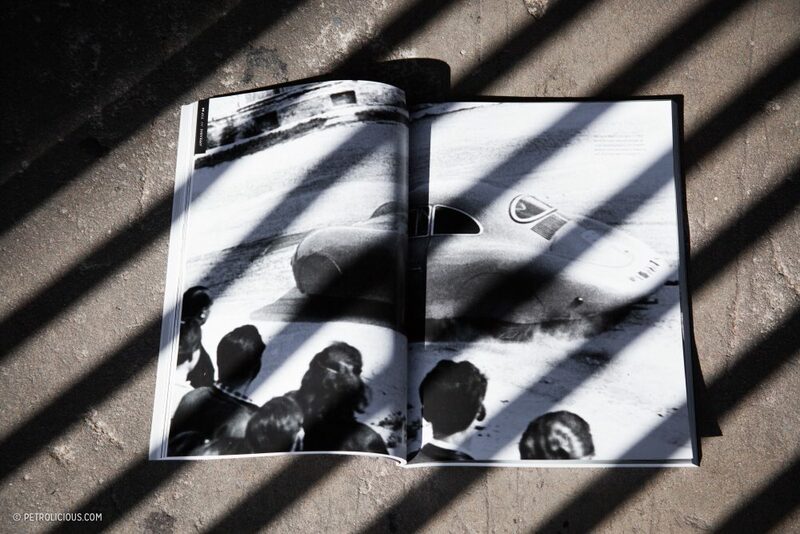 Porsches have a fundamental honesty to them and a minimalistic approach—the form follows the function and that draws a certain kind of person. As does the evolution of the cars, what with the consistent refinements over time. The conversations and relationships that have happened over the years are probably the most enjoyable and rewarding thing about it all though. BH: What kind of work did you do before you got involved with Porsches? PS: I worked on a shipping dock at Costco. BH: How long have you been in the journalism and editing business? PS: I wrote my first article for Excellence in 1993 as part of the curriculum for a journalism class in college. It was published in 1994. BH: Why did you choose to write about cars? A lot of things were on my mind at that time; about the future, what it should be, and what is valuable. I had put cars out of my life so I could concentrate on college at the time because I was not a great student up to that point. I also had some social questions about the validity of cars. I struggled with that for a little bit, I was very idealistic. 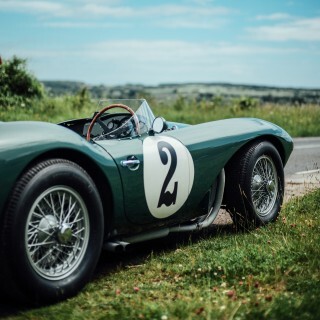 It was about this time that this quiet thought came to me: ‘If you wrote about cars, you could drive everything you ever wanted to and never have to own any of them.’ That became intriguing to me. BH: How has what you’re involved with changed or evolved? PS: I came into magazine publishing alongside the rise of the internet. The internet has absolutely changed what print media is. In 1997 I was hired full time at Excellence, and soon started watching all of my friends get hired by dot coms, and I thought ‘Oh boy, I have to get off this dying horse.’ Then a couple years later, I saw a lot of those same friends get pink slips and thought, ‘Maybe it is okay to stay here for a little bit.’ In the end, I was really fortunate to be sheltered from the whole print disaster—because Porsche was such a strong subject, Excellence did just fine. It was a good place to be as I saw the internet unfold. In those days, people—myself included—were saying,‘Print is done and it will all be digital.’ As we have seen though, that is not the case. New media isn’t new anymore. It’s 20 years old now, and it has matured. There are wonderful things out there, such as Rennlist, Petrolicious, Instagram, and many more. The way people interact with media has changed, but I do not see the digital medium as a replacement for print; there are still people who want to hold things in their hands. We are seeing younger people defy the idea that real things are dead on a broader scale too; they are going out and buying vinyl records and film cameras. I was fearful of digital media when I was younger, but as time has gone on I’ve come to realize it’s just another tool. I can never fully convey the sound of a car on paper. I can describe it as best I can, but words cannot touch video when it comes to conveying the emotion of its sound. There are, however, other aspects where a website isn’t a good delivery device—such as length of time before you tune out (this interview may be a great example!). When I get into a good book I can be tuned in for hours. It feels like a real escape. BH: What do you think of these new mediums altogether? PS: I feel like it is becoming overwhelming. There are so many outlets now that it becomes a bit of an overload for us as humans. I don’t think our brains were meant to work with so many inputs. Facebook, LinkedIn, private messages, email, texts, phone calls, voicemails, forums, faxes, etc. I don’t think that is how we were made to fundamentally think. So, a lot really has changed in the last 20 years. I think that has an effect on media. We get saturated. Print remains the escape it always was though. Print means turning everything off; there is no hotlink that takes you somewhere else. 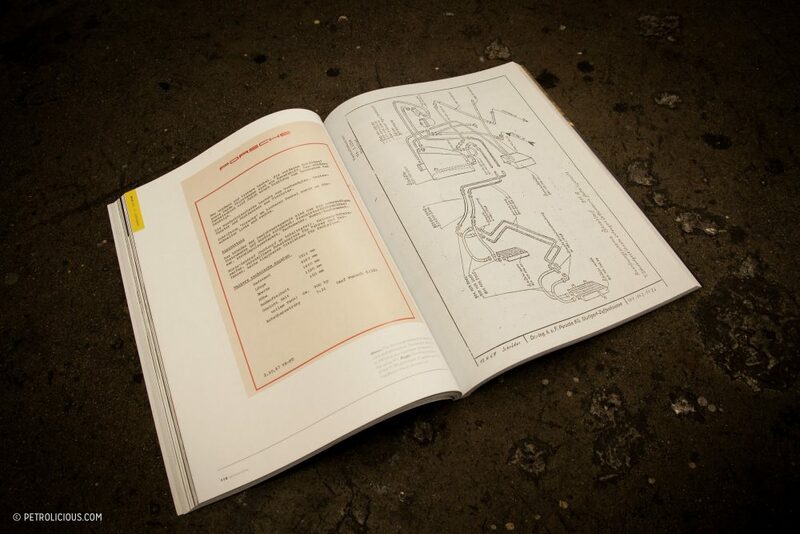 If print is done well, it absorbs you, and you become immersed in it. BH: With that said, what would you say 000 is about? nd I think Porsche is a worthy one. That is what 000 is. It’s intended to be an escape from the barrage of time-sensitive media. It’s something that comes four times a year instead of six or twelve, or every day, every hour. It won’t be for everyone. It’s expensive, because it’s expensive to produce, but there is something else you spend when you consume media: when I’m on Instagram for example, I’m allotting those minutes to Instagram when I could be using them for something else. There is also the cell phone bill at the end of the month and the cost of the device. People don’t think about all of these things that are built into the dollar cost. And again, there’s always that one cost that’s difficult to measure: time. Our time is the one thing we can’t go earn more of. But, we can spend it well. 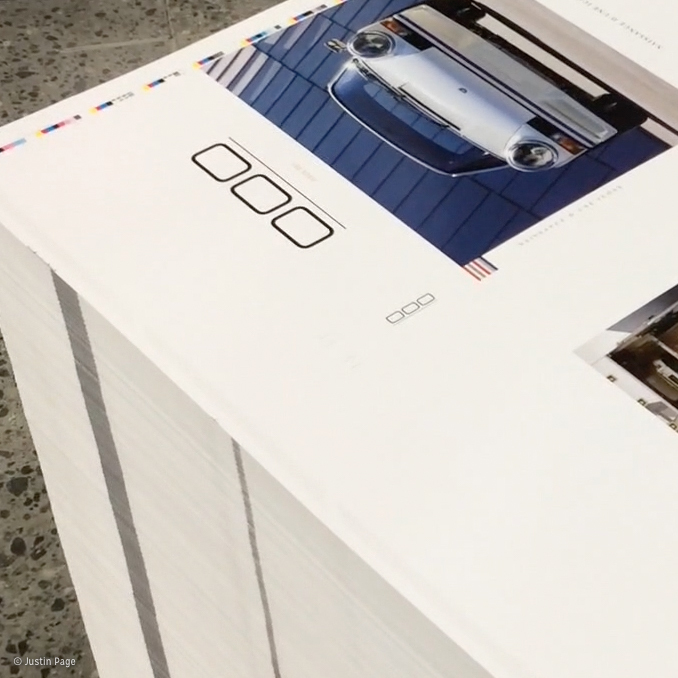 000 is an attempt to help people who are interested in what we are interested in, to learn about the Porsche story, and to see it in another, more in-depth, light. I started looking at our layouts and thought, ‘Man, some of these articles are 50 pages long, but you know what? 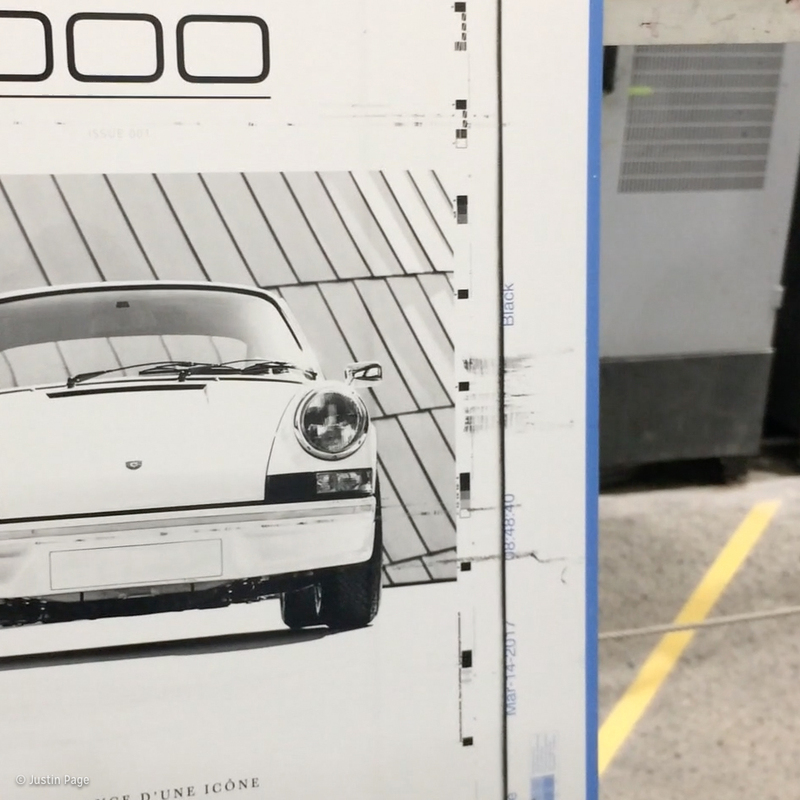 I think I’m seeing the car better than when I saw it in person.’ I have looked at Ferdinand Piëch’s eight-cylinder 914S in the museum and at Amelia Island, yet I didn’t notice this weird, rough, and not very well done frame around the rear window. But here it is, on page 134. 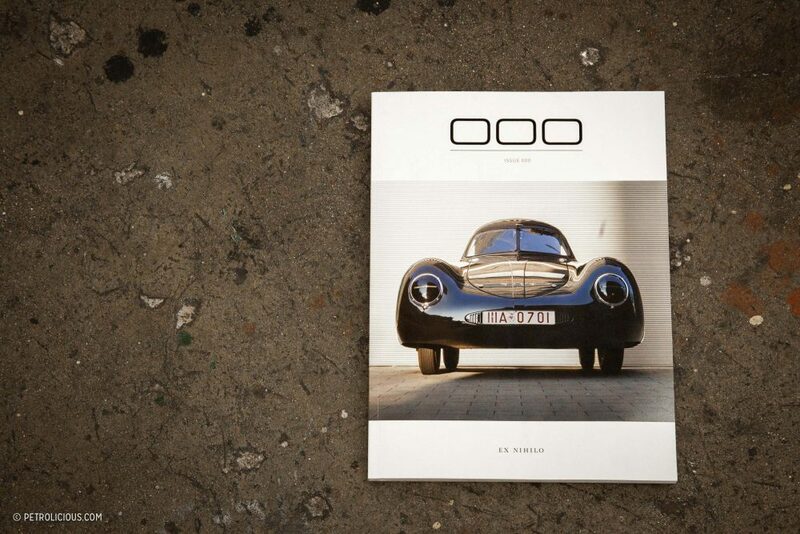 So 000 is like an art criticism with Porsche as its subject. The rest is for someone else to discover, and they can decide what 000 is for themselves. In broad terms, it’s about an open mind, and discovery. BH: How else is 000 different than most media today? PS: 000 is a project in support of artists. One thing I learned over the years at Excellence and Panorama is that our storytellers are critical. Now, they are threatened in a way they have not been before. With digital media, the consumer almost never pays for the content, but someone still has to make and pay for that content. You have passion projects out there that are producing amazing work, because someone is choosing to pay for it in one way or another. What happens when they choose to stop doing that? What about all of these photographers and writers who cannot make money and have to go get a different job? If that happens we lose another storyteller, and when we lose them, we all lose. When someone looks at the price of 000, he or she may say, “This is expensive.” But I know what it costs to make the magazine, and I view it as good value. Of course, it is expensive when compared to what we have become used to when it comes to paying for magazines; magazines have been on a downward spiral, and have reacted to that by lowering their subscription prices and by struggling to sell more ads. We are seeing where that has gone already. Most magazines get thinner and thinner, and stop paying contributors, or pay them less. I want to see our storytellers make it. BH: What’s the most exciting car you’ve had the chance to spend time with? PS: There have been so many, but there are two standouts. One was the Carrera GT. I had it for a week, and spent 1,200 miles in it in all conditions. The best single road drive I have ever had came in that car on the roads in the far north of California. Every movement inside the car was measured, slow, but everything outside the car was moving so fast. It was like being in a vortex, as if there was a storm all around the car. The redwoods blurred, but inside there were all these simple, small movements. I think anybody could have been in the car and been comfortable. I believe some call it flow, and it can happen in any discipline: to a woodworker, or a basketball player, or a surfer. If someone is good at something—or just okay at it and having a good day—there is a certain space that can be occupied, and that car got me into that space better than any other. The paradox is that the Carrera GT is one of the hardest cars to drive well, because there is a big intimidation factor involved. It took me 200 or 300 miles before that wore off, and I am in the business of getting over a car’s intimidation factor relatively quickly! The handling was not sorted in the way some other Porsches are sorted—especially in the years since. There is more than 600 horsepower coming from an engine that revs up like a light switch, a pretty rudimentary traction control system, and, most importantly, tire technology that just wasn’t there yet. After 300 miles though, I started to gel with the car. At 700 miles, when the aforementioned part of the drive happened, came perfect roads at a perfect time of day in a desolate place. Among incredible redwoods and a nice climb away from the ocean on perfect pavement, it was surreal! That car was a shocker. Some people say it’s more fun to drive a slow car fast than a fast car slow. I have always felt that it’s most fun to drive a fast car fast. Yeah, the old cars made you work harder to go a certain speed, but the new cars give you a mental challenge that comes with the increased pace. 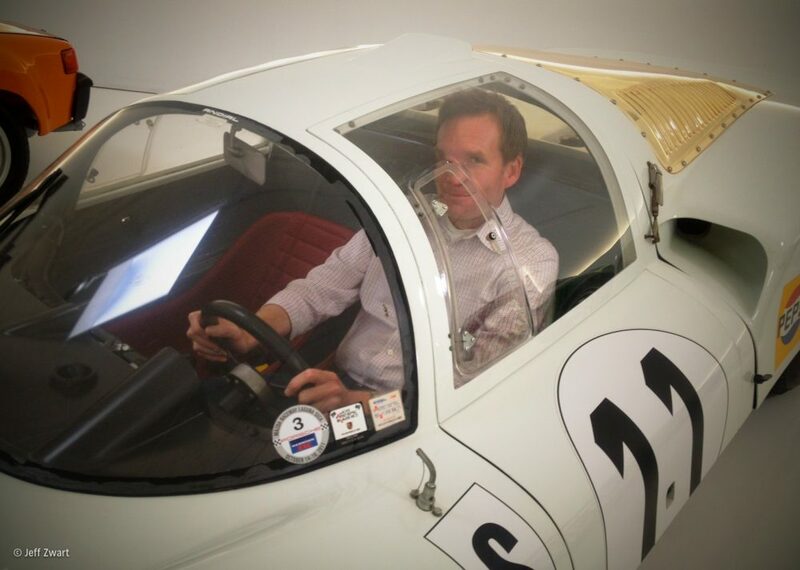 Of course, you can only explore the limits of a modern car on the race track, but I would argue that you shouldn’t be exploring the limits of an old car on the street, either—exploring the limits on the street is stupid. Nonetheless, a 996 GT2 driven at, let’s say, a “reasonably sane” pace is a different mental exercise than driving a 356C in a similar way. I do not know which is more dangerous. You can make various arguments for both sides, and for the safety of others as well as yourself. But to me, there will always be an allure to the mental challenge. You have new decisions, new judgements to make. 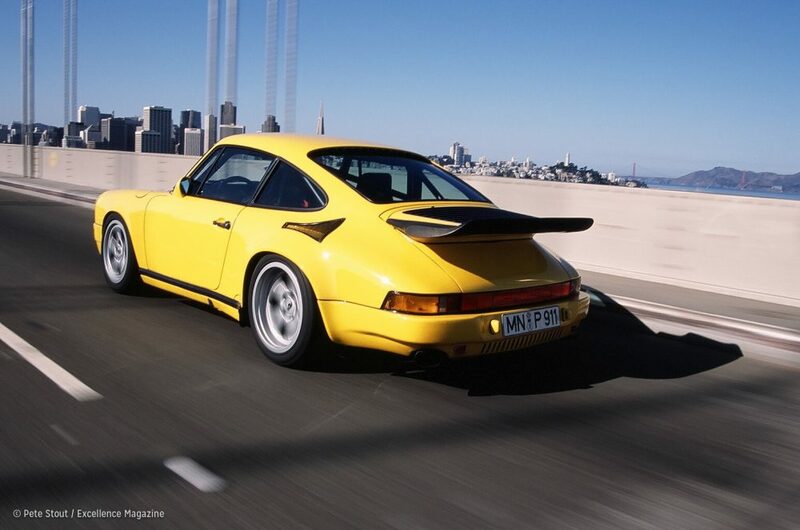 The Yellow Bird was fascinating to me because it was as fast, and could hold the same pace as a 996 or 997 GT2—maybe even faster, in fact. But it more or less handles like a ’73 RS 2.7, albeit with 500 horsepower. The surprise was that it worked. I figured that the Excellence story on it would be an exposé of sorts, that while the CTR was famous for its performance, it might be the Corvette of Porsches—incredible in terms of on-paper performance, but not so great on the road. But the Yellow Bird was great to drive! It just worked. It had tiny tires—205s in the front and 255s in the back on 17in-wide wheels, the same sizes as a 1997 Boxster on the optional 17s—but it had 500 horsepower instead of 201, with a torsion bar suspension. And it worked! In the rain, in the fog, in the morning commute, it just worked. The power band is very “unturbo” for its era. It had great power throughout, it revved high, it made power down low for what it was, and it was very linear for its time. Compared to a 930, it’s night and day. 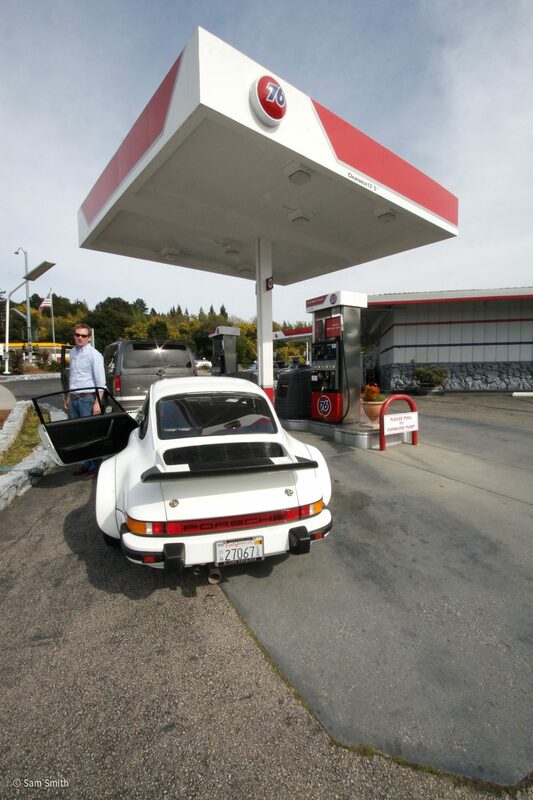 The 930 is off or on, while this car makes good power throughout the rev range. The real shocker was the user friendliness of the Yellow Bird. 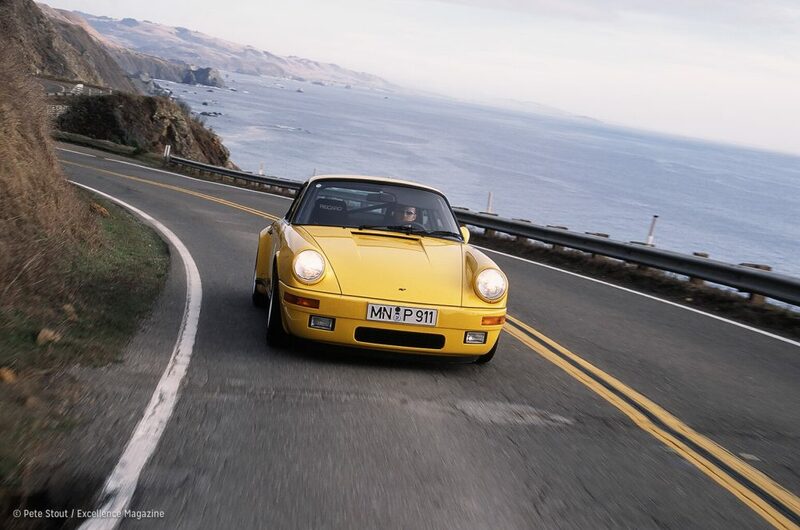 If you watch RUF’s “Faszination” video, it looks like only Stefan Roser need apply for the driver’s seat—like you’d better be ready to sort the steering out at 130mph. I had a friend in a follow car on a rainy day way up in Northern California, and I told him to go ahead because he had a Subaru WRX STi with all-wheel drive and ABS. I was going to drive like a grandma because the CTR is priceless, essentially. He said, ‘No, I want to stay behind you.’ And lo and behold, driven conservatively, the Yellow Bird was quicker down that road than my friend—who is a decent driver—in an STi with all the inherent advantages like all-wheel drive, ABS, and R-compound tires. When something works, it works, and that makes for a magical car. 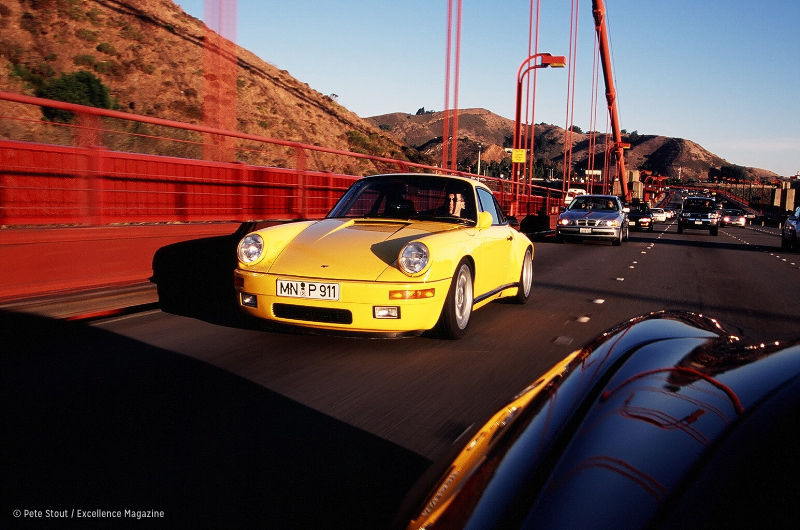 Counterintuitively, the Yellow Bird is no mere record car: it is actually a great driver’s car. Despite having far too much power for its tires, old-tech suspension, and being set up for straight-line speed. So, those two cars are the most exciting I’ve tested—even better than some of the race cars, though of course that’s always a treat in its own right. BH: You mentioned the “low-tech” suspension, so I have to ask: air-cooled or water-cooled? 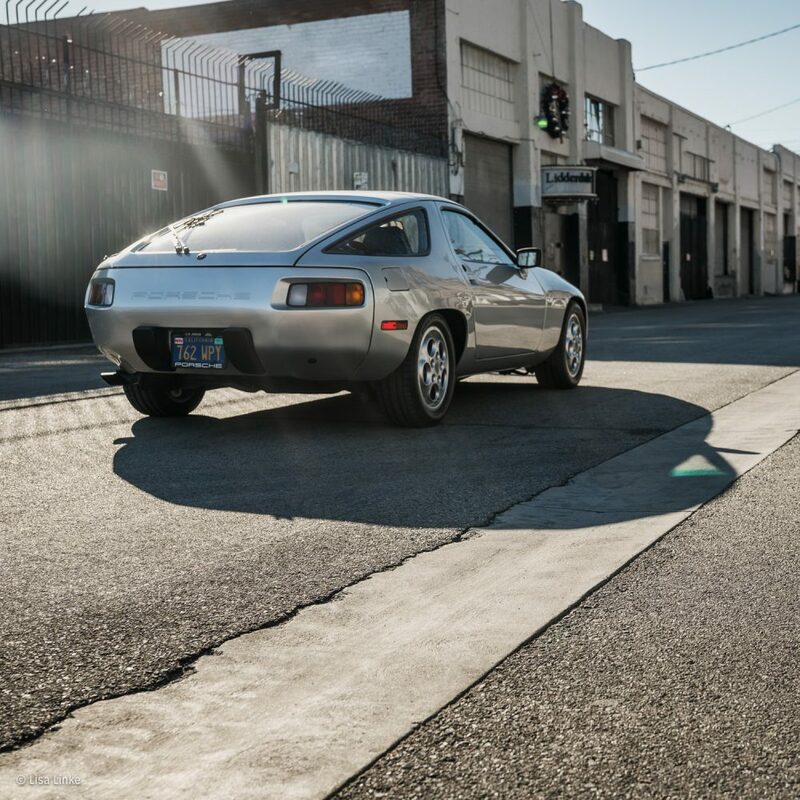 PS: Like with media, this is not an “or” for me, it’s an “and.” The most fun I have had in Porsche ownership has been the times when I had one that was air-cooled and one that was water-cooled. The first time that happened was with my 914 and my first Boxster; each made me enjoy parts of the other one more, and they also exhibited the downsides of each. I really appreciated each one more due to the presence of the other. 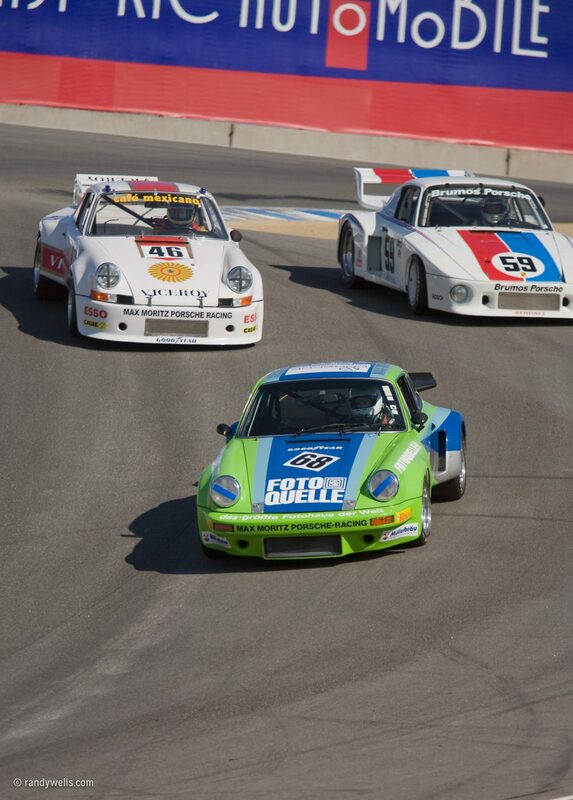 Right now, I have an air-cooled and a water-cooled, and to me that is the way to do Porsche. If you can only have one it gets trickier. 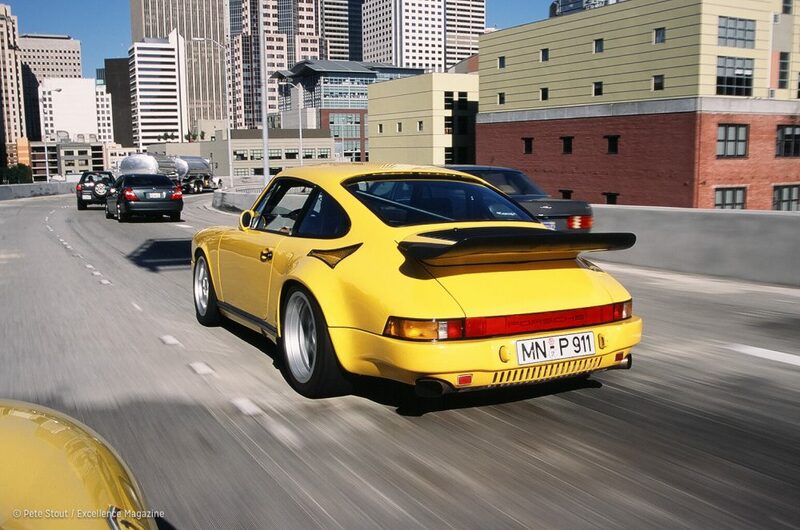 I would rather have two cars that are “lesser” Porsches—one from the old days and one from the newer days. 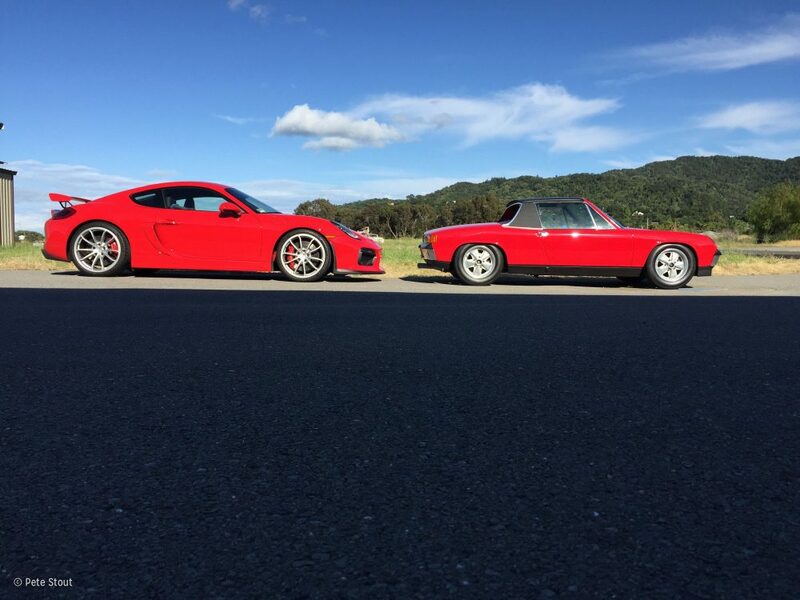 I’d rather have a 914-4 and a base Boxster of whichever year than have one more-expensive Porsche. 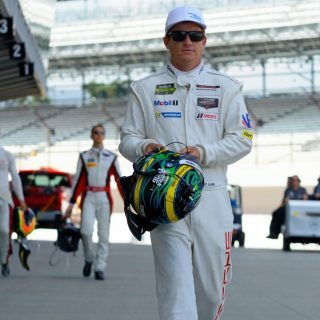 That is just me, personally, and the way I choose to experience Porsche. There is excellence in both eras. BH: What do you like about the air-cooled era? PS: I like that it became so contrarian, that Porsche persisted with air/oil-cooling in the face of regulations and emissions and everything else, all the way up to 1998. I like that that was their technology and they stuck with it. It shows perseverance. BH: And to fill in the other half: what do you like about the water-cooled motors? PS: Better efficiency, lower emissions, less sound pollution. These are things we car people don’t often talk about, but we should. I hear about people taking the catalysts off their modern Porsches and it saddens me. They are doing it to gain zero to five horsepower—if they’re lucky—on a basis of 400 or 500! Who cares!? What is the cost to the environment? Come on, I have a daughter. If we really love cars, we have a responsibility to lead by example. Our hobby inherently isn’t great on our environment—let’s be clear on that. We don’t need to make it worse. A modern car with catalysts is a wonderful thing. It has increased the air quality in the Bay Area significantly. My father says that when he used to look out the window in his office at the Lawrence Berkeley Lab during the late 1960s and early 1970s, he could not see across the bay. And now it is very rare that you cannot see across on any given day. Water-cooling has bridged us from air-cooling to where we are going with electric mobility. I spent a thousand miles in the real world with the 918 Spyder recently, and you know what? 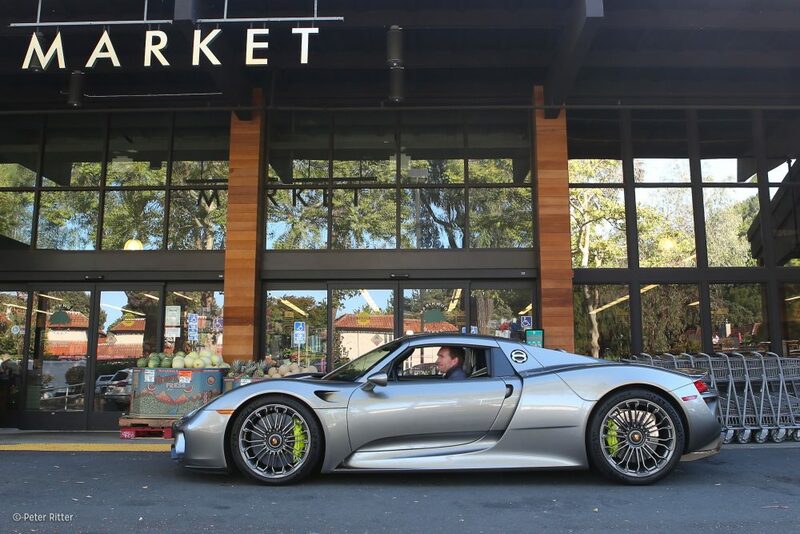 The 918 works really well around San Francisco when you are stuck in traffic, uphill, spending 90 minutes to go 16 blocks. 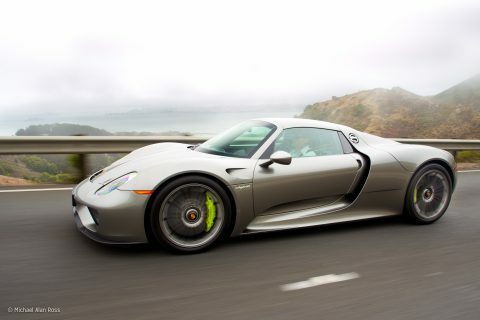 If I was in the Carrera GT, I would have been reaching for a gun—just to end it. In the 918 though, I was making Bluetooth phone calls and might as well have been in an E-Class Benz. 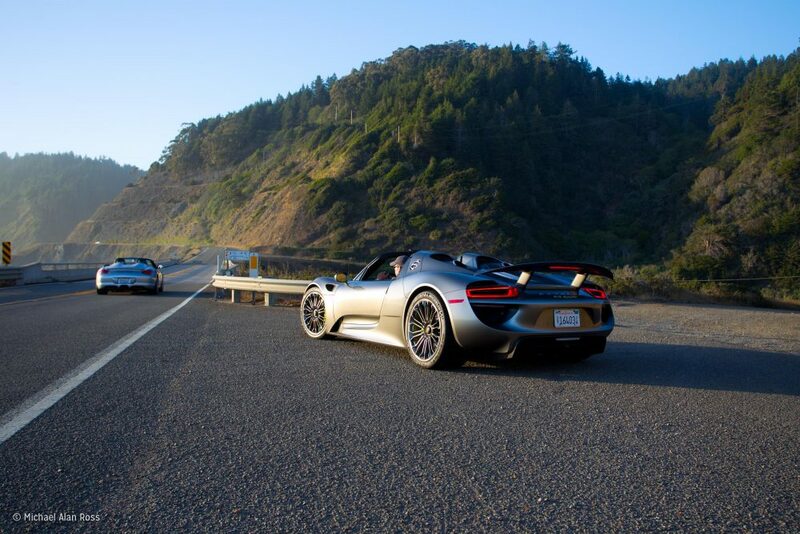 Then, out in the middle of nowhere, on the North Coast, I turned off the V8 and just ran the electric motors—the 918 was a blast that way too. Water-cooling has allowed Porsche to continue, and that is the best thing about it in my mind. BH: What are your thoughts on the whole PDK vs. manual debate? PS: Manual, all day long. I like PDK on the race track if I just want to go fast. I understand why some people need PDK though, and I can see how some people prefer it for traffic. I do like PDK for autocrossing, and when I’m on the autobahn it removes one area of concentration so I can focus elsewhere in extreme driving situations. I actually tried living with PDK for two years: I ordered a Cayman S purposely with PDK to see if I could be converted. That car sat in the garage a lot. For Saturday morning errands, I would take our pig-nosed, 200-horsepower, four-door GTI with a stick over the 320-horsepower, mid-engined Porsche with PDK. That told me that around town—when you can’t go fast—you can still interact with the machine when it’s a manual. PDK removed that bond, and I missed it. So, for me, I prefer a manual every time. I want the experience. BH: What are the coolest cars you’ve owned, in your opinion? PS: The ’73 914 was my first car, and I still have it. I had a lot of fun with a 1989 Merkur XR4Ti too. I’ve also owned a 911 SC, a Boxster, a couple of GTIs, an Abarth, and now the GT4. I had a WRX for a while and enjoyed that a great deal as well—it was my first new car. I am a huge fan of the modern Fiat 500 Abarth. I may have to buy another one, because I enjoyed it so much. 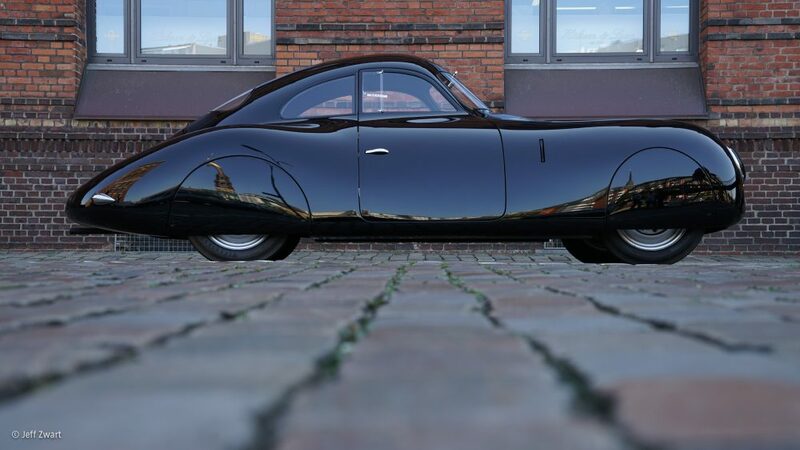 To me, it is in a lot of ways a modern day 356 because it has a similar friendly style: people react to it in a very positive way. Its size is something I sorely miss in modern cars. 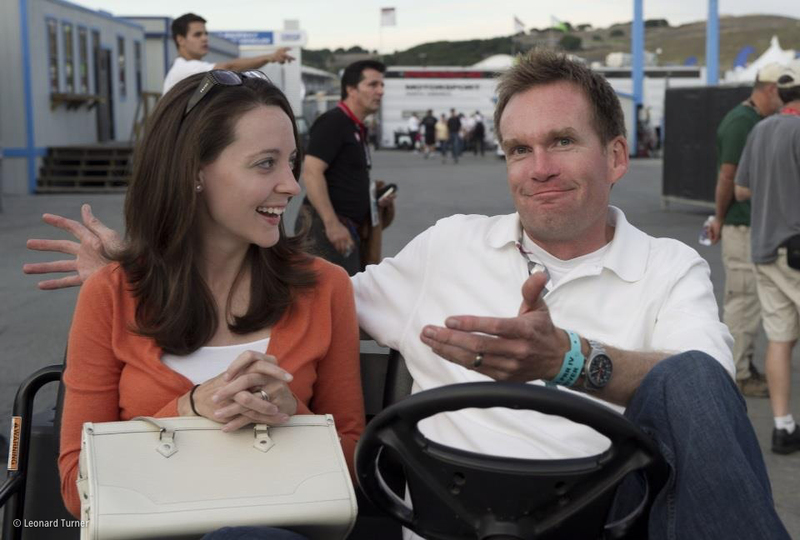 I could go into San Francisco for a date with my wife and we could be parked anywhere, or even just at a stoplight, and it always made people smile, which in turn makes you smile. That kind of thing is missing in a lot of today’s sports cars. On the other hand, the GT4 is phenomenal, and i’s an occasion every time I drive it. As is the 914 and other Porsches I have owned, but that goofy little Abarth was just a ball as a daily driver. It was full of flaws and the car really falls apart at about 7 or 8/10ths, but from 3 to 7/10ths, it’s a total hoot. I dearly wish Porsche would make something in that size. I don’t want them to make a Fiat Abarth necessarily, just a car that size. Size can be its own luxury. “Small” is missing in too many cars today. So is charm. BH: Which was your favorite if you had to choose? PS: The 914, because it was where my road to Porsche started. 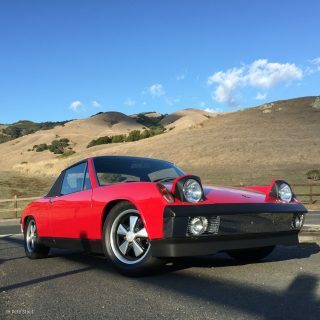 If I had to sell everything, the 914 would be the last to go. It isn’t a better car than the GT4, but it’s a bigger part of my journey. I’ve painted it three times, and have been modifying it off and on since high school. It’s got a small six in it, five-lug suspension, and bigger brakes, but nothing on it looks like something Porsche wouldn’t have done. 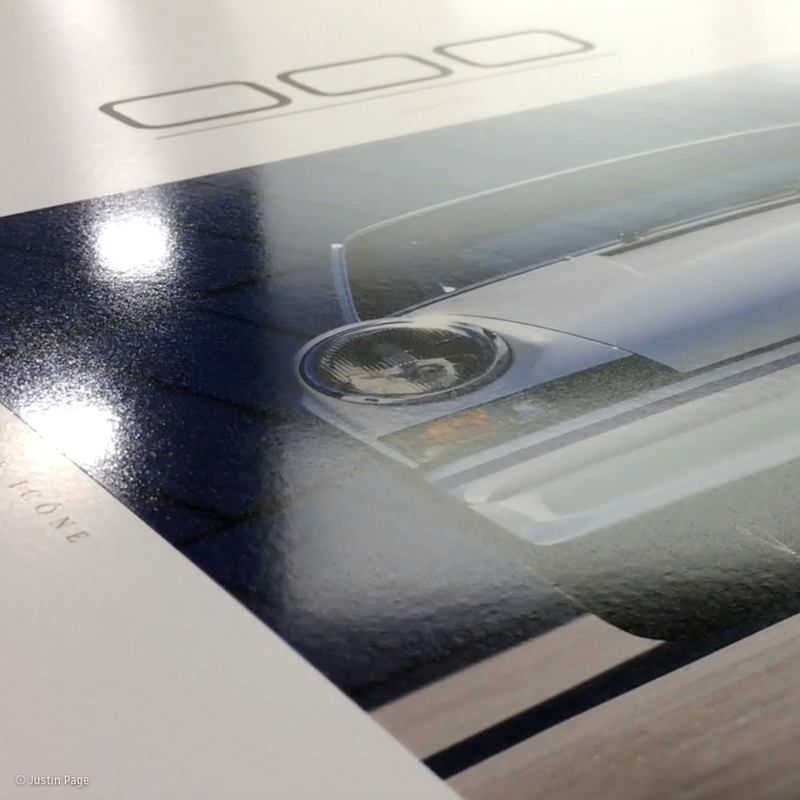 BH: A friend who is an auto designer really likes 914s—what are your thoughts on the design? PS:I would never say it’s pretty. It’s very hard to find a bad angle on a 356 or an original 911, but I can find bad angles on my 914. A 914, to me, is not an easy design to work with, but over time I have grown to really like the way the car looks. It is the cleanest, simplest shape you can come up with to house two people, an engine, and four wheels. All four wheels are pushed all the way out to the edges, the engine is in the middle, it has a big interior and two real trunks, and the greenhouse is very small, but offers fantastic visibility in all directions. 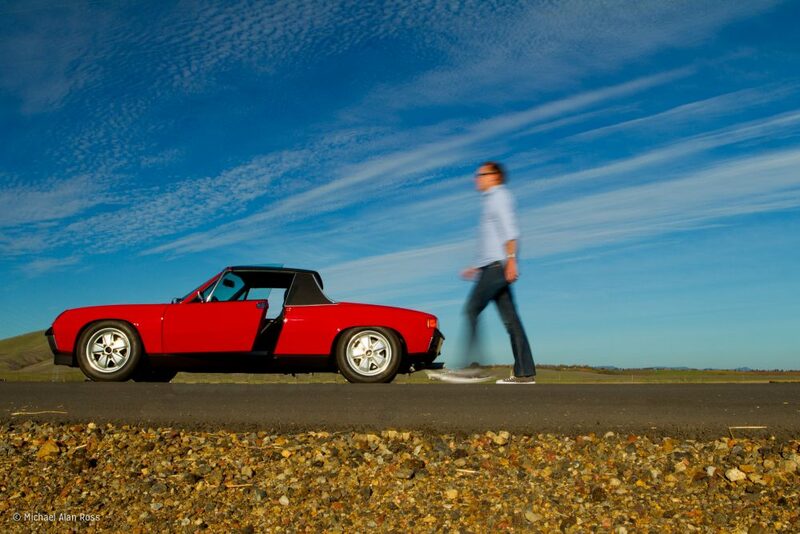 If we say Porsche is about form following function, the 914 is very hard to argue with. So I do like the way the car presents itself. I didn’t back in high school—I didn’t even want the car when I was younger. I look at it now though and call it beautiful. It is not pretty, but it’s beautiful. To me, anyway. Time has been very kind to the design, because when it first came out nothing looked like it. Now we have had the Dodge Viper and the Honda Del Sol and other cars with that basket-handle targa bar. Slab sides were really weird back then but became very common later on. 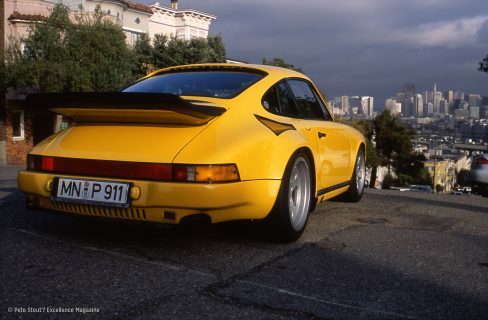 BH: Changing tack, which modern 911s stand out to you? PS: In the modern era, there are a few new cars when it comes to 911s that I really like. The 996 GT3 is one. It’s a flawed car, but it’s fabulous and very charismatic. And of course, the 997 GT3 RS 4.0 is just so good! It’s just such a visceral and exciting experience. 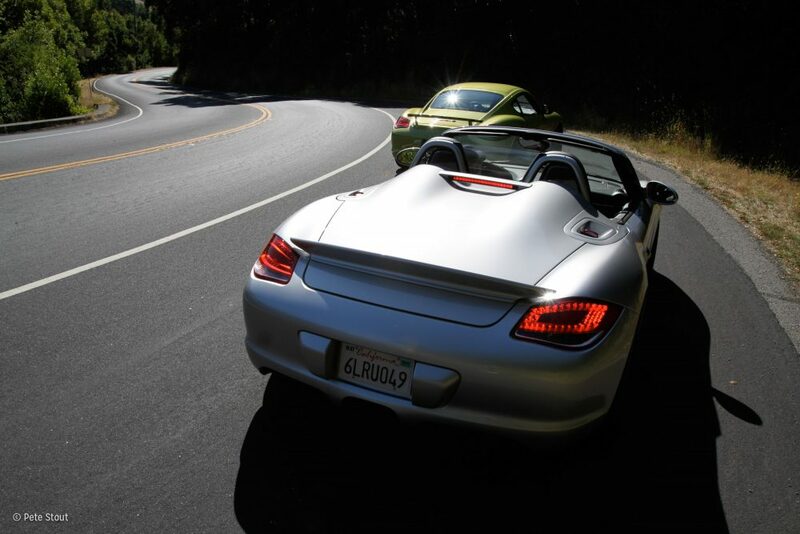 The 997 GTS is another really good one—I really like the 997 GTS size-wise—and it was very good to drive. 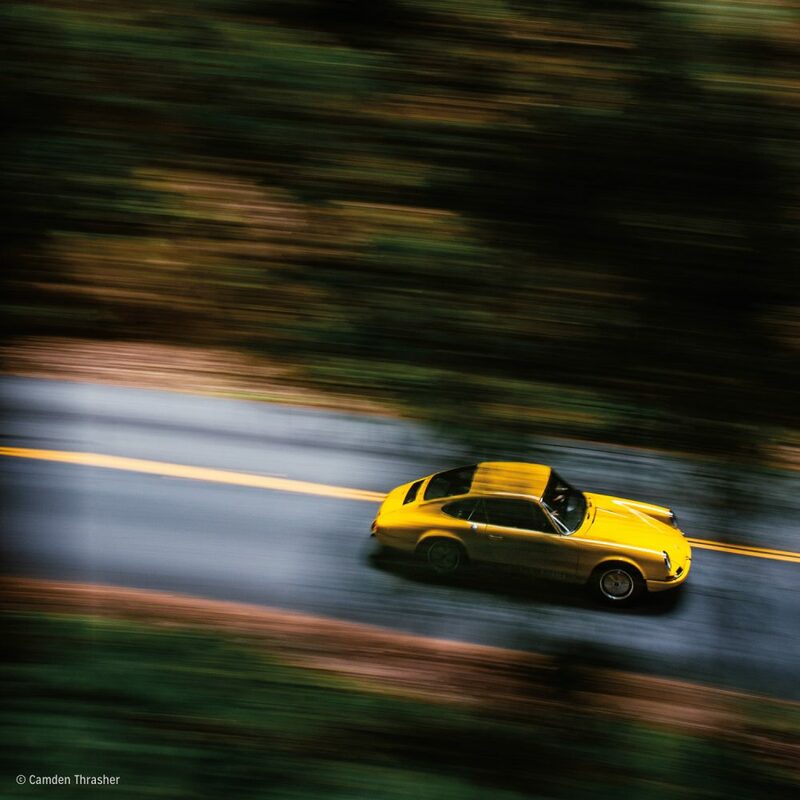 Then there’s the… base Carrera. How does that fit in with the other two? It does because it’s just that good. PS: Don’t tell anyone, but I really like the new base Carrera! Everybody is always consumed with ‘GT3 RS this,’ and ‘GT2 this and that and whatever.’ Those of us in the media have to take some of the blame for that. It can get a bit peacock, and we’re missing out on a lot of driving fun because of it. I followed a 991 GT3 RS up a closed rally staged road during the 991.2 Carrera launch at Tenerife. 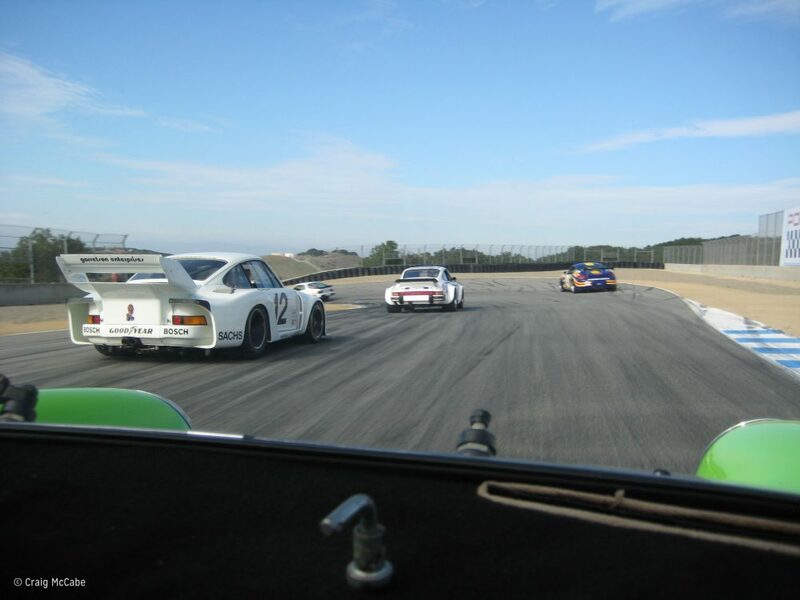 The guy in the GT3 RS was a professional driver and instructor. Most days, I drive a desk. I can get around a track okay, but my job is not to turn in amazing lap times. I have no doubt this guy is faster than me—a lot faster. Also, he had been up and down this hill multiple times during this press event, so he has seen the course. I have only seen it once from the passenger seat, and I had to try to memorize it or at least understand where we were going. 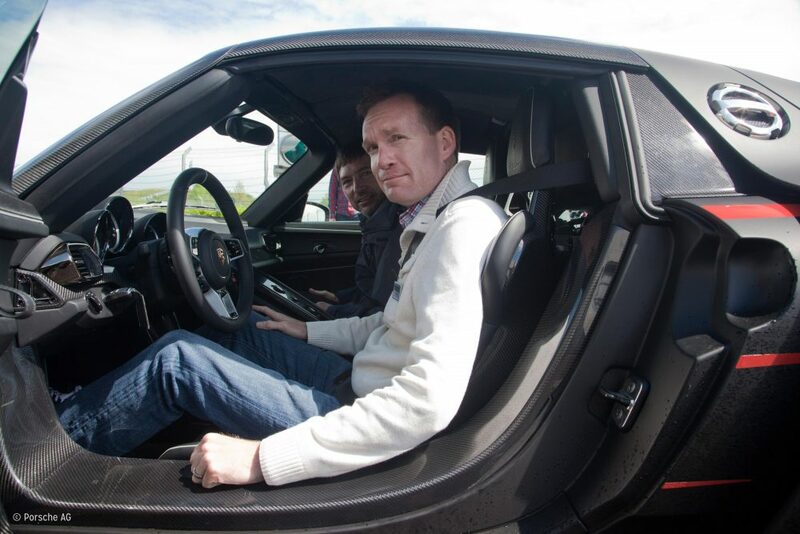 The 991 GT3 RS had PDK and R-compound Michelins, and I am in a seven-speed manual base Carrera. And he had nothing on that base car. You can watch the video on the PCA’s Facebook page. Some of the armchair critics say, “Oh, that is not a very good line and they are not fully going at it and blah blah blah…” First of all, they were not there and cannot really read the road surface as you could in reality. Second, was I at my edge? No. Was he at his edge? No. Neither of us wanted to ball a car that day. But we were going at it a bit. And I was surprised how approachable the Carrera was. If a car is really good, it is accessible even if you are not the best driver. If a car is really approachable, it gets more out of you. 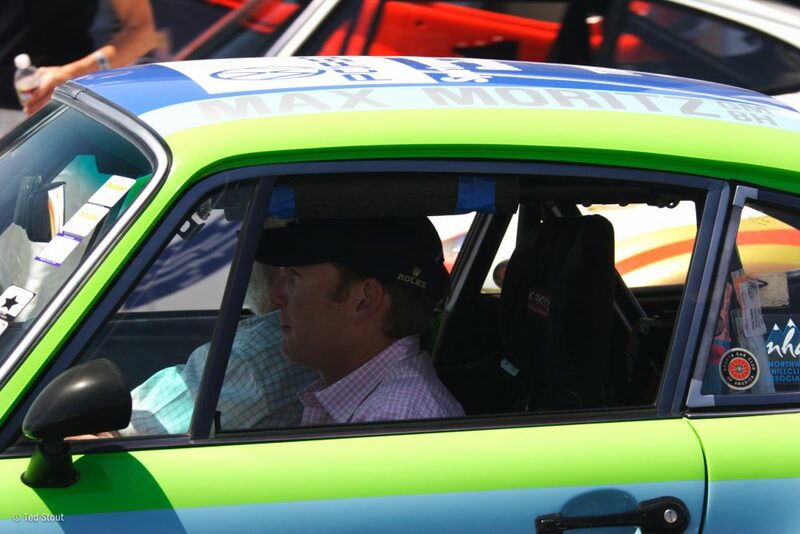 Everyone I know that has driven the new base Carrera and is a decent driver, not a Walter Röhrl—but even the Walter Röhrls like them—they say this is really special in the way it steers, the way the power goes down, and the way it brakes. People get hung up on the turbo engine, but the new Carrera is a return to form in other aspects. It’s a really complete sports car. We were about two-thirds of the way up the hill and Michael Harley, my co-driver, says, ‘He put the radio down.’ You can hear it in the video. These instructors in Europe hold the radio in one hand—and drift cars with the other! That’s how they instruct—I’ve been in the car with them while they’re doing it. It’s humbling. So, apparently, the guy in the GT3 RS put his radio down. He was working to get up the hill, and this base Carrera with an inferior driver kept up! So I ask, do you need more 911? Do you need more than that on the street? I have spent a lot of time in the current GT3 RS—and I’m positive that on the track I would rather have the RS—but on the street, I like the interaction of a manual transmission, and guess which 911 you can get a manual transmission in? So in the current range, I like the base 911 and I like the 911R. BH: How was the R? PS: The R is crazy mechanical-sounding around town! The problem with the R—as well as with the RS and GT4—is that to access the best part of the power band, the speeds are getting out of hand. There are very few places, even in Germany, where one can stay in it all the way to redline in second gear. In second! I like to get up to redline in second and third in most cars, but when you look down at the speeds and do the math in the R, it is never good math. BH: Do you feel Porsche hinders cars like the GT4—that they don’t want to go all out because it’s not a 911? PS: Porsche is smart. They have to manage their model lines. They have to manage their future. There are elements that are capped by the technology they have, the regulations they have to meet, and the price points they’re aiming for. There’s also an intelligent stewardship of what the evolution is and should be. They have to be thinking about being around for ten or twenty years. 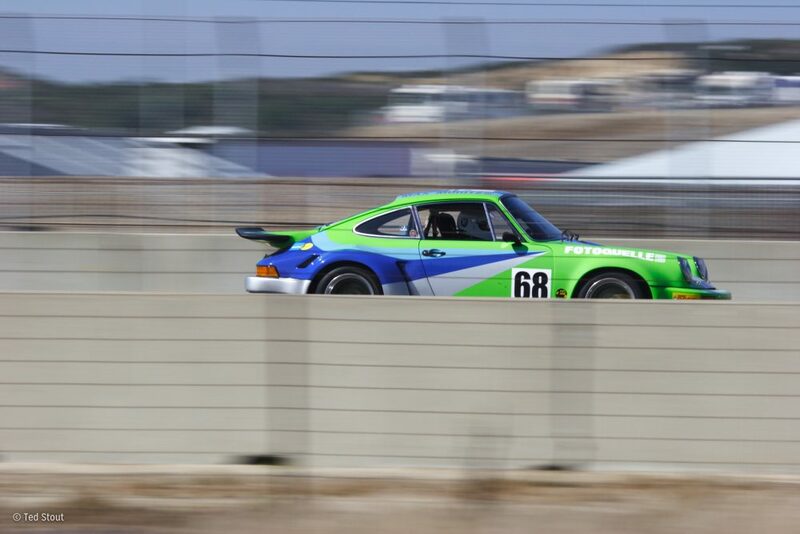 It is very easy for an enthusiast to say, ‘Oh, they are holding this car back.’ We all have to remember though that Porsche is a company that has employees that have to put food on the table and one that needs to satisfy shareholders. So they have to be smart about how they evolve their cars. The 911R and RS, at some level, represent what is possible right now with a naturally-aspirated flat-six—so I am not sure how much Porsche is hampering them. Are they pushing the GT4 as far out there? No. But are they charging you as much? No. You better believe they are thinking many years down the line. It’s a really interesting time right now in terms of the GT3 and the R, because how much further can they push the naturally-aspirated flat-six? 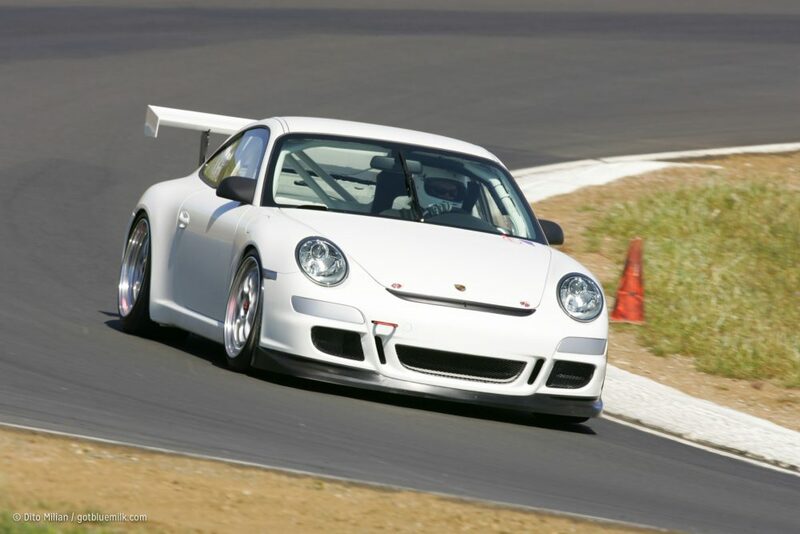 But then again, I remember thinking that with the 996 GT3 and then the 997 GT3. We kept seeing these impressive bumps in power from what was essentially the same engine: I remember when they went from 380 horsepower in the 996 GT3 to 415 in the 997. I thought, ‘Wow they found 35 horsepower—that is pretty impressive, because at 380 it seemed high strung!’ Then they went up 200 cc, and 400 cc, and got to 500 hp. So it’s not like they haven’t surprised us in the past. BH: Building on that, what are your thoughts on Porsche as a whole today? 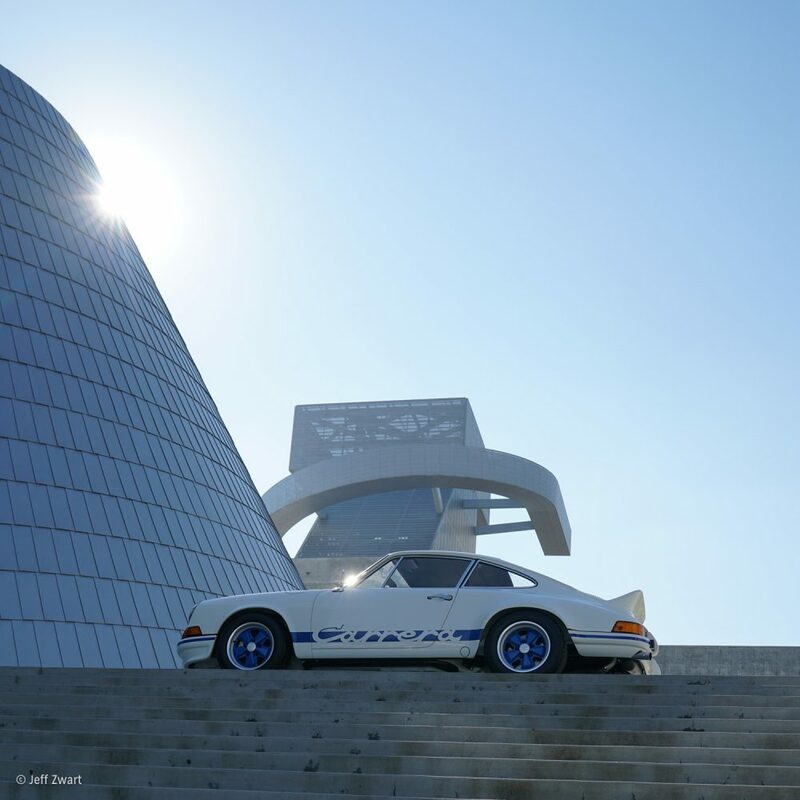 PS: The Porsche that we all knew 20, 30, or 40 years ago has of course been growing and changing. Has it changed more now with the addition of the four-doors? Yes, without question. The 356 folks used to say, ‘Real Carreras have four cams.’ They got mad when the Carrera name was used on the newer cars at the time that weren’t four-cam 356s. And now, my neighbors have Cayennes. Do they have soul in them the way a 356 or 911 does? No. Do they have the fingerprints of Porsche? Yes. If that brings my neighbors into a conversation we can have about Porsche, how great is that? So I embrace all of this, it doesn’t bother me. 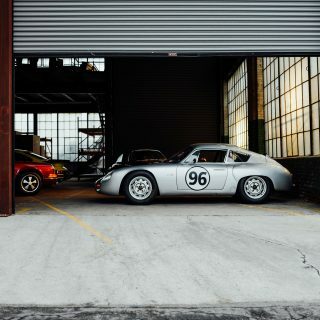 It makes it a challenge for Porsche, for those in the business of Porsche, and for the enthusiast to keep the faith, as the 356 people used to say. To not let origins get overshadowed by the growing story. The origin is still evident, but we have to look harder now. So it is a challenge, but I like a challenge. BH: What gets you excited these days? That was at a time when I was thinking about whether or not I was going to try 000. 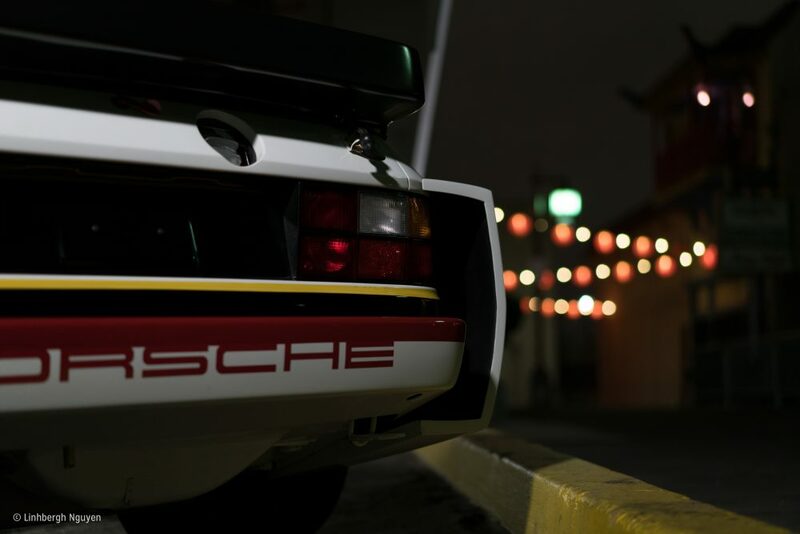 I didn’t realize it that night, but that was probably the moment that made it clear to me that I wanted to try something different with Porsche media, and I wanted to find a new way to support the arts. 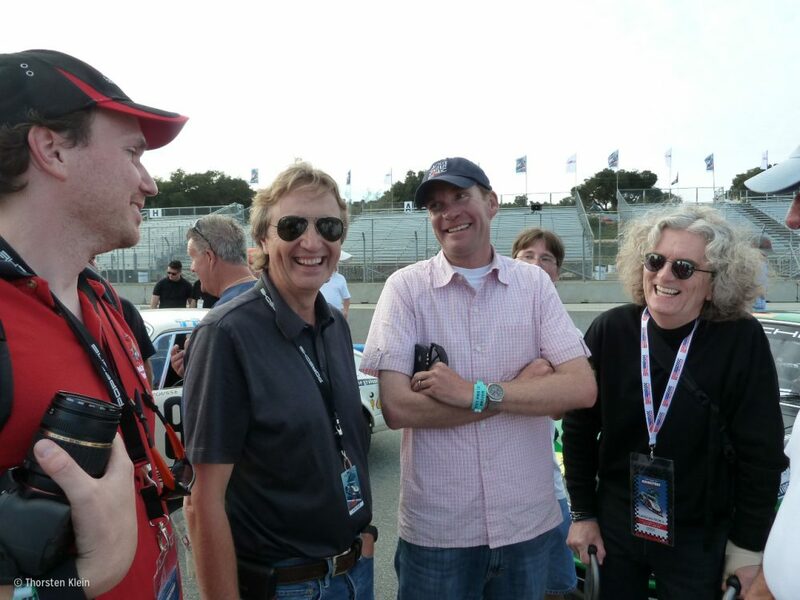 That night, there was what you would call the “old guard” of Porsche enthusiasts and also people I have never seen before. Turns out, they are not even Porsche enthusiasts. 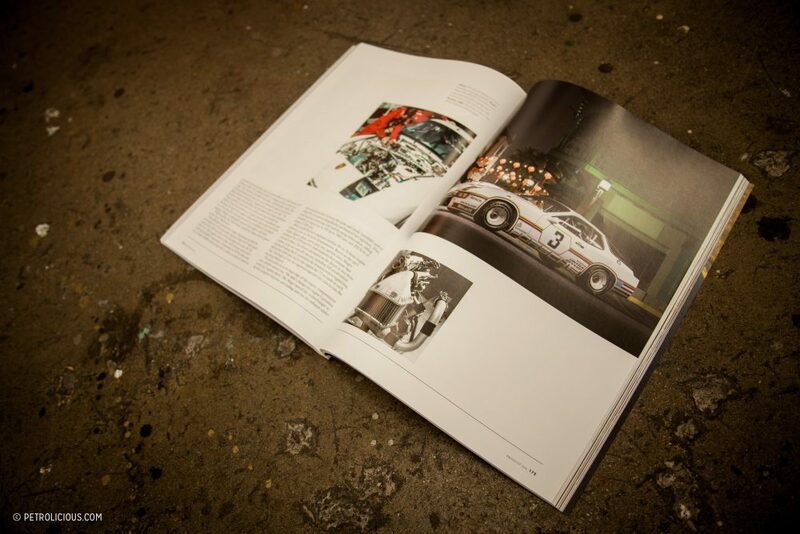 They are creatives and they are interested in design, so they are naturally interested in Porsche. 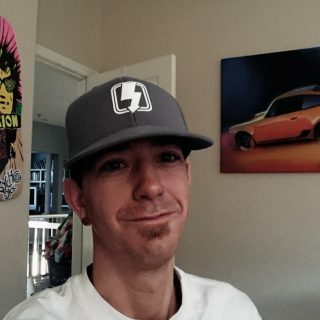 Why is this person interested in a factory race car driver? What is the connection? That excites me. BH: Do you have any mentors? PS: Yes! I view mentors as something different from parents. I’ve got great parents, but I have many mentors—far too many to name here. That’s the number one thing I can encourage anyone towards, whether they are young or old. It is never too late to seek mentors. Mentors are key. If we hunger to see things that are further down the road, why would we only hang out with our peers or versions of ourselves? On the professional side, I think about Letitia Robinson, Bob Carlson, Bruce and Stephanie Anderson, David Murry, Hurley Haywood, Jeff Zwart, and Randy Leffingwell. On the personal side, one of the biggest was Danny Clark, a forklift driver at Costco who changed the course of my life by speaking truth into my life when I was just 17. In college, Louis Baker, Brad Elliot, Marilyn McIntyre. My mechanic Steve De Jung is really a mentor who just happens to be my mechanic. Ernie King has had a huge influence in my life. The first article I wrote that was published in a magazine was on his hot-rod 914-6, and we still have lunch regularly. We go deep, and sometimes we even get back to cars! Byron Meyer, a patron of the arts in San Francisco, opened my eyes to design, to contemporary art and architecture. My business partner, Alex Palevsky, is another friend in my life with a highly developed sense of art. Derryck Dias is a sage, as is Ralph Jackson. This is already feeling like a laundry list, and I know I am leaving critical figures out—I can only hope they’ll forgive me. But the one mentor I’m luckiest to have is my wife, Rebekah. She’s seven years younger, but I get to look up to her every day. Thank you to Mr. Guitar (AX) Slinger for the praise. I’m a subscriber. it is truly an awesome piece of print, picture and great story telling. So glad I sprung for it. It sits on my desk still, while other print “mags” go into the basket and stacked. My next one is due any day now. Can’t wait. Did Pete go to El Cerrito High? I remember a guy in my class who drove a 914. I thought it was pretty cool! If you care to, you can find me through our website’s contact form. Now you have me curious. Thank you for the reply and I shall be in contact . Yes you’re correct in assuming the majority will do business online … especially the readers here . 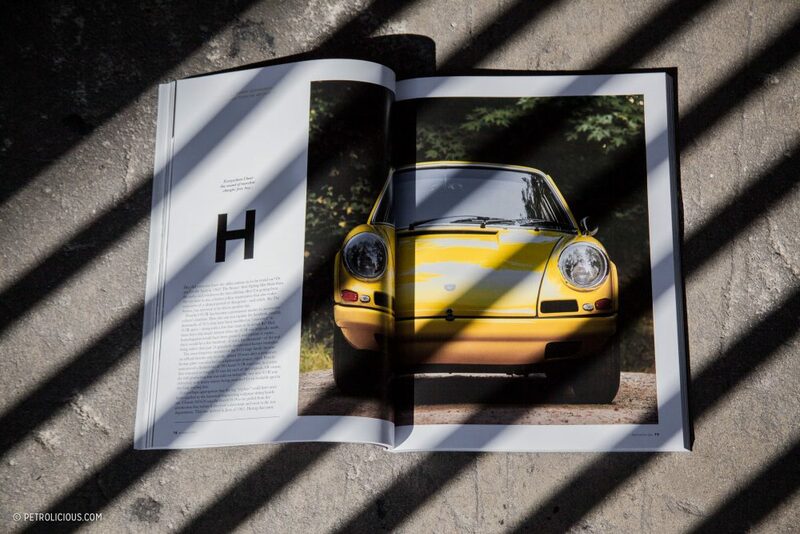 And yes 3% ad content with all of it being Porsche related is unheard of … even with journal type magazines such as The Rodders Journal and Fretboard Journal .. Right on. 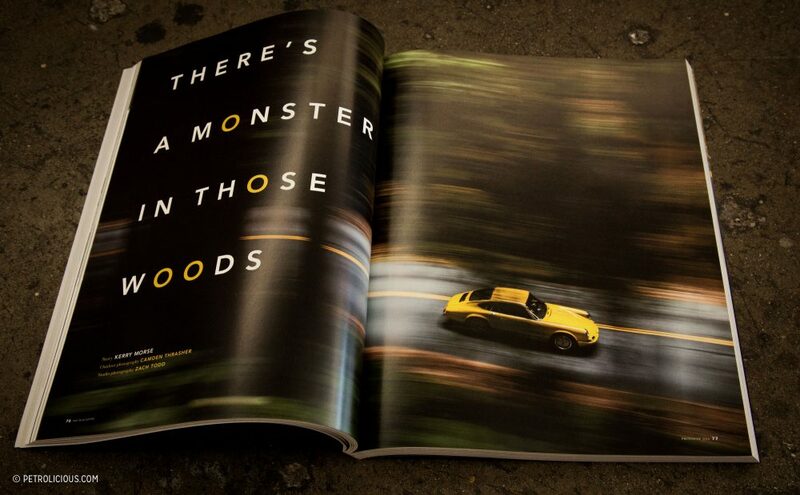 In fairness, should point out that all ads are not necessarily Porsche related. 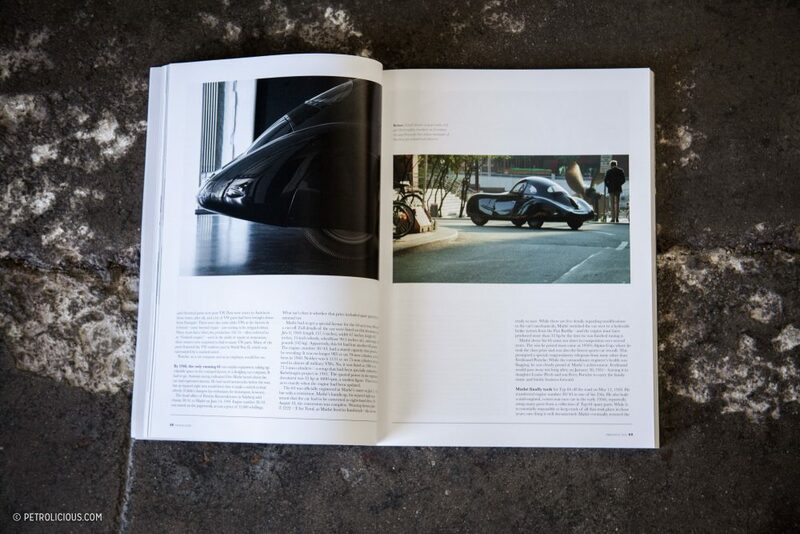 That actually seemed kind of boring to us—so the ads you’ll see have to do with art, architecture, clothing, getaways—matters of design and style—we think will be of interest to people who are interested in the cars we are. re; The ads .. gotcha … as long as they’re classy , relevant [ to your audience ] and minimal in number .. right on back at ya ! OK … so who’s the smart(censored) plastering me with thumbs down despite my posting nothing but compliments on the subject as well as the fact that the subject himself has been praising my compliment s ? More importantly .. whats the motivation ? Envy ?